Used to automatically parse links posted in a chat and deliver the info to you. Also used to search youtube and deliver the information of the best result in a similar fashion. Youtube youtube youtube, all three in one? Would it be possible to do a "don't operate for this hostmask" sort of like how channel bans work etc? Because certain annoying users can just change their nick to get around the current ignores and you have to manually add their new nick in. It doesn't seem to work any more? Hi @AddictedtoFootballManager sorry for the late reply! It is working for me. Can you please share the version of mIRC you are using? as seen here: http://prntscr.com/c9yaee (screenshot link to display the error) (the 2 times each is because i private messaged myself. @FabianH thanks for letting me know about this. I thought I fixed that in this version, but I might have made it worse. For now, just ignore the other bot's username - I'm working on a fix for this but it's a little tricky. I'll get back to you in a little while! Start from line 1 to include everything. Ok, i copy all of it, from line 1, but when i paste a youtube link, it didnt do nothing, or i have to activate it or something? I have mirc 6.2 i'm on irc.chathispano.com room #lc-brasil can you come now? What happen? You left last night and do this script work with other links? Or just YouTube links? Ataques a canales. Para mas informacion visite http://www.chathispano.com/gline/?id=4733638 (expires at Dom, 17/07/2016 06:29:15 +0200). Ah ok, don't worry, sometimes it happen to me too, that's weird g-lined, ataques a canales means channel attacks, maybe you log in the network with some kind of proxy or your nick, you should have been log in with a name, they have some rules there, but i don't remember about that, it would be more great if it work on any links like Google, Yahoo, CNN. But this script is good, it has everything like the User, Likes, Dislikes and Description. My mirc 6.2 was too old, but now is working well, thank you man, but when someone paste a link, it kind of slow showing the title, why is that? Lag or my internet is slow? @Alejandro that must be lag on your computer or internet connection. With a good connection, it should respond within 1 second of the text. Yes, it has flood protection on a per nick basis as well as duplicate link detection. Ok, but how i turn off the flood protection? Sorry, you can't turn it off using the built in settings. If you'd like to manually erase you can look for the "botflood" lines to erase. How come you want to turn it off? Cuz my internet is not very good, is slow and people want to see the title again, some people missed it and what line is the botflood? 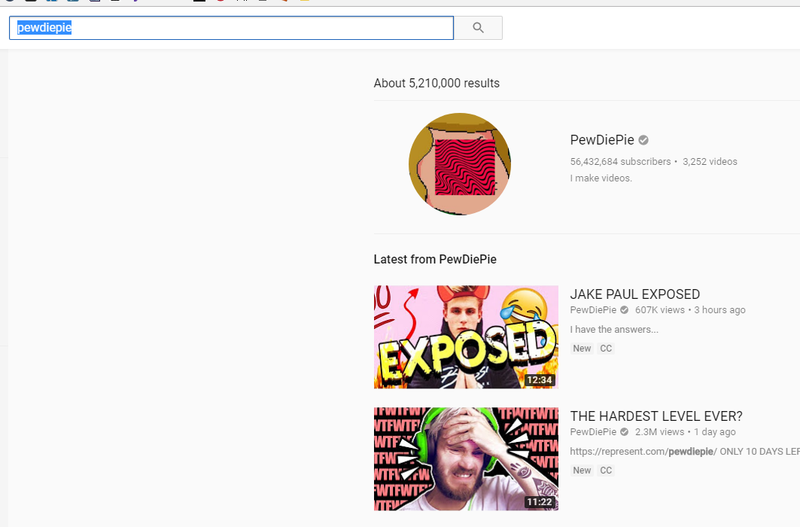 Forget the botflood, if you don't wanna tell me, i see theres another option, !ytsearch, how do the !ytsearch work? [10:49:38] LobsterMan> YouTube This video was removed or is no longer available. @LobsterMan looks like I had some sloppy coding in 6.3 that caused the script to trigger with [youtube.com]. This should be fixed in 6.4 let me know if any new bugs pop up. Thanks for pointing this out! I love, love, love this script! The updates are very appreciated! First and foremost, AMAZING script. Thank you very much for it! Small question; I'm working on this for Twitch and I'm trying to limit it to Mods and subscribers only requesting links. But, I want it to announce links posted in chat for everyone. What do I need to insert to make this work? Thank you! Can you link to a screenshot of what the IRC chan that you run it in (of your twitch channel) looks like? I'm not sure how they distinguish between subscribers and mods on the backend. It's for a Twitch IRC Channel. I've found some stuff saying for subs, you check by calling "($hget(subscribers,$nick) = 1)"
To the below entry in the script. In setup, I have set to only display one search result with the !youtube command, but it displays four search result links and they are all the same, will there be a fix for this in the next release Please? @TheDukez should be fixed in v6.3 thanks for pointing this out! YouTube This video was removed or is no longer available. as it is a channel and not an actual video could this error message not be shown? great script! i have been using the script for months and it has been of great use!! Great point! Thanks for finding that. I'll make sure to fix that in the next version. @Vegito @LobsterMan @Feldegast just wanted to give an update sorry for the delay in updates, working on a personal project that wraps up on Sunday April 24th so should be getting to it next week. Let me know if updating your client or downloading OpenSSL doesn't fix this for you. The new youtube API requires sockets to be over SSL. Can someone help me? I don't understand this, i need to copy all that in my script? I copy all that in my mirc and it didn't work, anyone know what is the problem? It's very annoying to see this everytime I start mIRC. Could you make this happen in the background, and only show a message if there is an update. Because I don't need to know everytime that my script is already up to date. @illhawkthat , this is such a brilliant script! Allow me to thank you, and to tell you WELL DONE! I have one question (or one request)... Do you know -or can you make- a script that is similar to this YouTube script, but would work for Wikipedia searching? What I'm talking about is a script for normal users (and not just for ChanOPs or Bots), so that when I or any user in the room type: !wiki AnySubject - the result from me would be be a brief line from Wikipedia; telling informations about that AnySubject. Exactly like this YouTube script. But instead of typing a YouTube link, we would type !wiki AnySubject. And instead of showing informations about the YouTube link, it would show a one-line information from Wikipedia. I tried to find a script like that, but couldn't find any. The ones available are just for ChanOPs and Bots. Can you make a channels section for what it IS supposed to work on vs. what is is NOT supposed to work on? That seems way more logical and scalable. Every time I join a channel I have to be worried about blocking it out in the script. Thanks for the feedback @lakecityransom - One challenge to implement that would to keep people's past settings. For the next update, I'll look at splitting the channels view for a whitelist mode and a blacklist mode because I agree a lot of people use it only on specific channels. Don't waste your time illhawkthat, it's setup correctly. This script is meant for a bot, not to be run on your machine. Grab an ec2 instance and throw up windows RDP. Or at least run another instance on a VM, laptop, whatever. @lakecityransom it looks like something may be causing the script to restart. Make sure it's loaded in it's own file. Also, keep in mind that the script will not parse the same link in a row (from your log it's all the same video) - this is part of the flood protection system. Let me know if there is anything else I can help with! I LOVE this script and thank you for updating it. There are many chatters I know who use this script for their rooms- as do I. Happy to hear that! Let me know if you'd like anything else changed, I love that it's useful for a lot of people. anyway to clean those once the script is done msgin the output? set a timer for it, '//timer 0 1337 clearvars' in your irc bot, or add it in the script like that. Sorry for the late reply, been a little busy and a lot lazy. I do have this on my list and will work on an update to come within the next week. @rebel9 @ovelayer I think this is fixed in v6.2 - let me know if you still have issues. Thanks! Not working for me. On the 'Status window' says: "Server does not recognize NOOP command". And when I type a YouTube link in a room, says: "* Invalid format: $ (line 234, youtube.ini)"
I downloaded and installed the latest version of SSL. So please help me. Thank you. @Hazem , did you upload this code into a new remotes file? (meaning no other code is in the file)? It sounds like something else may be interfering. @WildTiger can you help me out by explaining what wasn't working? Sorry for the trouble with the script! What do I change to make it $notice me or echo to me and not publicly msg the channel? Hey @John0877 just to make sure I understand your question, are you talking about when you share a link to the channel, or when you do a search? Would be a cool option to add into the dialog in a future version possibly too. Ive looked at the code and I can only see it msging the channel in case of error. I know Im missing something but Id like to change it to notice instead for the youtube link information. @John0877 the easiest/quickest way to do this is do ctrl+f to search for "msg $chan" and replace all occurrences with "notice $nick" I'll definitely look into adding this as an option in a dialog box in the future, but can you let me know if that works for now? @John0877 Sorry for the late reply, been a little busy and a lot lazy. I do have this on my list and will work on an update to come within the next week. @John0877 thanks for your patience and sorry for the delay! Can you update to v6.2 and enable the "Notice Only Mode" in options and let me know if that accomplishes what you were trying to do? Thanks! I installed the 6.2 version and enabled the notice mode and it doesnt notice me when someone pastes a youtube url. I even went into the script and tried to find where it said notice $nick and changed to notice $me and it still isnt working. I just want it to show to only me when someone pastes a youtube url not anyone else. Actualy I suspect it wouldnt be too difficult to add an echo mode as well, would it? For the notices mode, maybe a few sub-options of who to notice, yourself, the channel, or a particular user maybe. If that last part is too much work, I will understand. :) The echo part would be cooler I guess. @John0877 Try this: http://pastebin.com/YdNiK0Aa - I edited lines 206 and 303 to be echo instead of notice, see the changes here: (see the differences: http://pastebin.com/diff.php?i=YdNiK0Aa ) Let me know if this works! @WildTiger to disable color type /youtube and check "Disable formatting" under basic options. To change the color, search the script for ctrl + k to find instances of the color and change to the color you would like. Hint: you might want to search var %msg first to find where the youtube output is. Did that help? oh thank you so much but can't you show by a video tutorial :/ i don't know how to do that i don't know this things i can't find what you said in there ,or tell me where can i put the color where is $ number or ? i'm sorry i don't know this codes and stuff..
@WildTiger What color are you trying to change and what color would you like it to be? @WildTiger due to the number of colors, I'm not sure which ones you'd like to change. The colors are located on lines 424 through line 430. If you'd like to update them, replace "4" (currently red) and 10 (currently blue) with whichever colors you'd like. Use the index from this list, http://www.mirc.com/colors.html - let me know if you need help! Thanks for the report @Wigoor - are you still able to reproduce this error? Here is me trying it with a 0 view, 0 like, 0 dislike video uploaded 20 minutes ago and still works: http://i.imgur.com/7LkAiJd.png - Let me know if you still get the error with that URL above or a different URL and I can investigate more. Thanks! If you updated in past 3 minutes, please update again haha... fixed the duration bug. Thank you @SReject ! Thanks for the update! However doesn't seem to be spitting out any results. @IndyAdvant if that issue isn't fixed in version 6.0 please reply by comment here or in our chat - thanks! "sockopen -e $+(youtube.,%ticks) www.googleapis.com 443"
After chaning that it went down to http://puu.sh/hJyPJ.png , managing to do sockopen but dosent go down to sockread. Tested in another client with 100% original code it seem it opens the connections, but it dosent do anything with them. Thanks so much for bringing my attention to this bug - can you let me know if updating your client or downloading OpenSSL fixes it for you? The new youtube API requires sockets to be over SSL. That could be it, clients are 7.34 and 7.22, will check what happens with an update! Thanks! Will update the instructions to reflect that. @illhawkthat thank you so much ! He said he would work on it ASAP, but he's busy with final exams. Not cool to be begging like this. I'm waiting for the update too, but if you need it so badly, update it yourself. Yeah, the parse part of the script stopped working 2 days ago. That part is also blocked by youtubes api information. @Wigoor @Lianpobs @LobsterMan - thanks for your interest. Sorry about the delay in an update, I've been working through final exams here. Will have an update coming as soon as possible. Again, sorry for the delay! All searches will output "No relevant results were found. Try different search terms." since there is no "<yt:rating" in that video. As we upgrade the YouTube Data API(http://youtube-eng.blogspot.se/2014/03/committing-to-youtube-data-api-v3_4.html) to bring more features, we’ll begin shutting down the old version on April 20, 2015. This will result in the current YouTube app not working on certain device models from 2012 and older. We will continue to focus our efforts on improving our official YouTube app for TV which is available on most 2013 and newer Smart TVs and Blu-ray players, game consoles and streaming devices. You can find a list of our device partners"
@Wigoor, thanks for making me aware of this issue. I confirmed the problem with API v2 support and I am looking into migrating to version 3 now. I'll do my best to get this working quickly and I will respond here when I have done so, but it may not be until later this weekend because I have a full week. Thanks for finding that! I was going to use the same search page but it's annoying that the likes, dislikes, and some of the other details I need to do a separate request to the ID API. Checking on this a little later. Sorry about the delay in an update - this just came at a bad time for me with exams and projects all due this week as well.